Working with researchers from Stanford University and St. Anna Children's Cancer Research, researchers from Jürgen Pollheimer's laboratory at the Medical University of Vienna's Department of Obstetrics and Gynecology have now, for the first time, identified basic relationships of the cell cycle and cellular senescence in the human placenta. The main finding of the study: During pregnancy, the cycle of cell division of placental trophoblasts stops after duplication of the whole genome to prevent uncontrolled growth. "Genome duplication acts like an automatic stop sign," explains study author Philipp Velicky, who conducted the study at MedUni Vienna and is currently working at IST Austria (Institute of Science and Technology – Austria). "We were therefore able to demonstrate for the first time that trophoblasts duplicate their entire genome during their development, thus becoming polyploid, and then go into a sort of cellular retirement, known as senescence, to protect themselves. They stop dividing but continue to send out certain messenger substances," explains molecular biologist Velicky. At the same time, the results of the study indicate that cellular senescence is an important mechanism for preventing uncontrolled trophoblastic cell division and proliferation. The study also enabled researchers to establish that this important control mechanism is absent in so-called anembryonic pregnancies. Gestational trophoblastic disease affects approximately one in every 1,000 women worldwide. 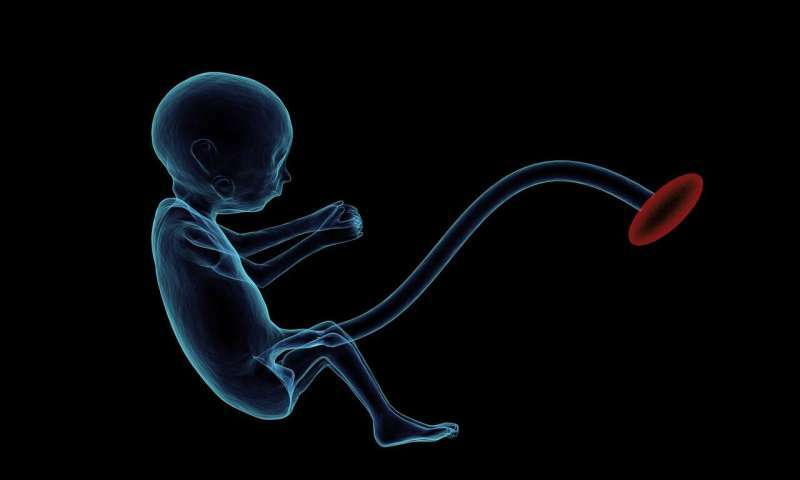 An empty egg is fertilised in the uterus so that, even though a placenta develops, no embryo is formed. Nor do the other processes of a normal pregnancy start. This means that there is no natural molecular "stop sign". The result: the placenta proliferates wildly; the trophoblasts don't age. Instead they rapidly become polyploid, carry hundreds of copies of their genome and divide in a completely uncontrolled manner. The system gets into a complete muddle and affected women subsequently have a significantly higher risk of developing particularly aggressive chorionic carcinoma (a highly malignant tumour of the trophoblastic tissue). The tumour tends towards rapid metastasis. The better understanding of cells and their functions in the placenta could lead to the development of a therapeutic response to over-proliferating cells in future and also provides a better general understanding of carcinogenic processes and how to prevent them.